Blurb Description: When Adam Blake lands the best elective ever in his senior year, serving as an aide to the school psychologist, he thinks he's got it made. Sure, it means a lot of sitting around, which isn't easy for a guy with ADHD, but he can't complain, since he gets to spend the period texting all his friends. Then the doctor asks him to track down the troubled freshman who keeps dodging her, and Adam discovers that the boy is Julian--the foster brother he hasn't seen in five years. 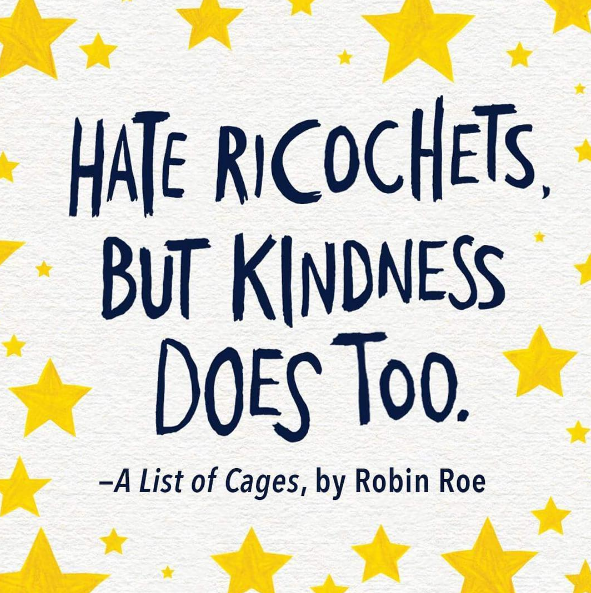 In short, A List Of Cages is one of the BEST books on friendship, abuse, hope and family that the Young Adult world has to offer. 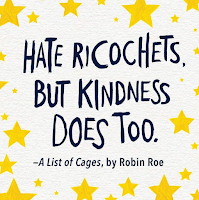 A List of Cages was ADORABLE, perfect in every sense of the word and it also succeeded in breaking my heart, had me sobbing uncontrollably and then managed to put it together again. I’ve NEVER felt so much – I didn’t think it was possible to feel so much – for two foster brothers and their stories, but Robin Roe had me feeling it all. 1. Julian: Julian was such an adorable little boy, and I connected with him in the very first chapter. He was… afraid to be who he was on the inside, afraid to be happy and be himself as if he was intentionally making himself less noticeable, and it broke my heart. My heart broke with the fact that he even had to deal with Russell and school, but he was a beautifully real character. 2. Adam: It took me a little longer to get used to Adam, mostly because he seemed like a ridiculously perfect person. He had only nice things to say about everyone, he could take and dish out jokes, had a great home life and the girl he liked obviously liked him back and so it took a while for me to warm up to the Golden Boy. I did, however, and MAN I LOVED THIS BOY. He was the sweetest to my adorable Julian, and a perfect friend and older brother and ACK. 3. THE FRIENDSHIPS: There were a lot of GREAT friendships between the wonderful characters in this book, between Adam and Charlie and the rest of Adam’s friends but most of all I loved the camaraderie and sibling-esque bond between Julian and Adam. Also, the one that developed between Charlie (Adam’s best friend) and Julian was pretty great, and I only wish we saw more of it. There was only one REAL thing that disappointed me in this book and it was the lack of Parental Supervision. I was SUPER PLEASED in the beginning because Adam’s mom WAS around, but all of a sudden there were sleepovers with Emerald and her BARELY being there was Julian *spoiler* was in the hospital and it just seems strange. I know some parents don’t like to smother children but parents disappearing in YOUNG ADULT books where the kids are still living at home and are dependent seems VAGUE? Like is it REALLY allowed to happen, or are parents conveniently erased from the storyline? A List of Cages is a mark above the rest it ALL aspects. A Beautiful, Heart-wrenching tale from a great new writer. 4 stars. 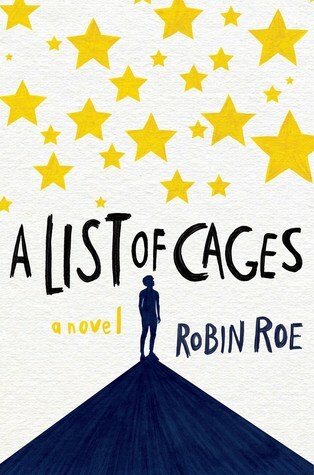 Robin Roe is the author of A LIST OF CAGES, which has received starred reviews from Booklist, Kirkus, School Library Journal, and Publishers Weekly. She has a bachelor’s degree from Cornell University and a master’s from Harvard. She counseled adolescents in Boston before she moved to Dallas to run a mentoring program for at-risk teens. Robin loves connecting with her readers and can be found on Twitter @robinroewriter. 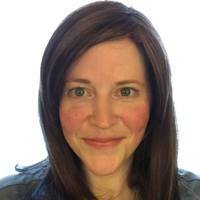 You can also use the contact form on her website to send her a message: www.robinroewriter.com. What was the last book on abuse that you read? If you could recommend one young adult friendship book to me, what would it be?